We will take you on a 15 minute drive (from our headquarters in Page, AZ) to a private Navajo Homesite located a short distance from the Overlook at Horseshoe Bend. Here you will begin to immerse yourself in the warm hospitality of the Navajo culture by touring an authentic hogan (traditional Navajo house) while also enjoying the taste of freshly cooked Navajo fry bread being prepared right in from of you by the local Natives themselves. 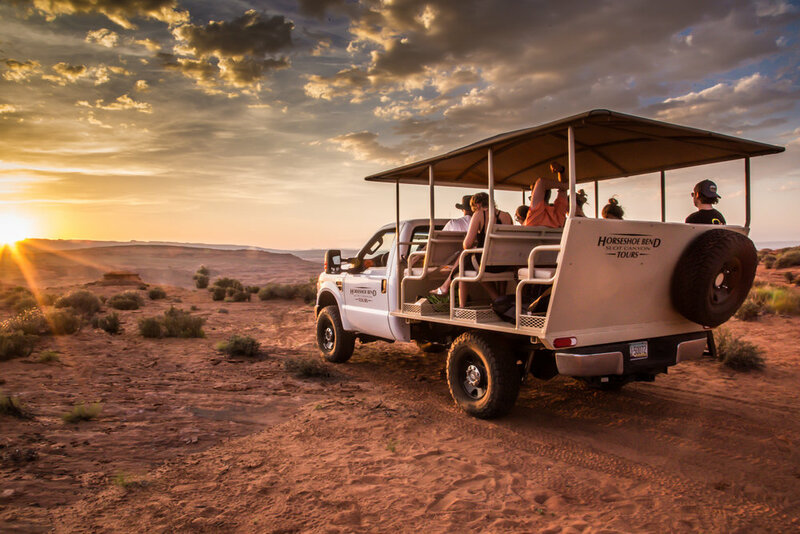 You will then enjoy a 10 minute off-road drive to the private and exclusive Navajo Overlook at Horseshoe Bend which lies less than 300 meters to the south of the over-crowded National Park Service overlook location. Here you will stand on the edge of a sandstone cliff with a breath taking view of the Colorado River flowing over 1000 feet below. With the backdrop of the sun setting behind the majestic Vermillion Cliffs and Glen Canyon, you will enjoy an inspiring cultural performance of young Navajo dancers. 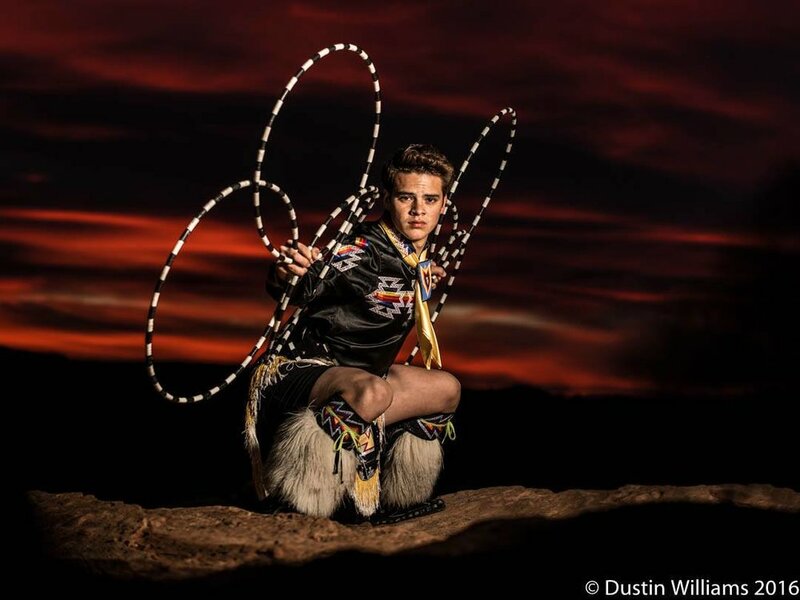 They will not only dance, but will share insights into the fascinating culture of the Dine (Navajo People). 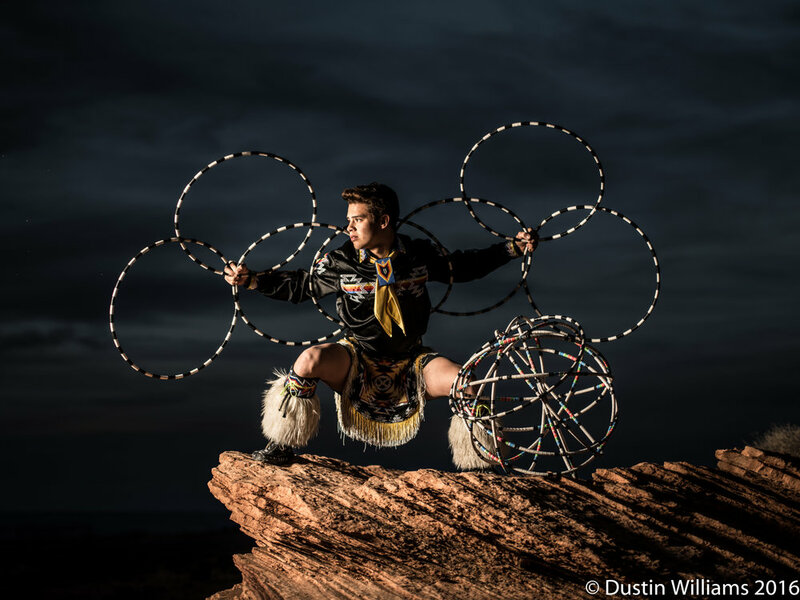 You will see different styles of Native American dances, including the traditional hoop dance, in which the performers create various figures with their hoops. Following this performance, and any additional photos you wish to take, we will take a short 15 minute drive back to our headquarters in Page with memories and photos to last a lifetime! Tours depart approximately 1.5 hours prior to sunset. Contact us at (435)275-4594 to discuss a custom tour or private group engagement. *Prices include all sales tax & Navajo permit fee of $8. **Online booking fee of 6% will be added at checkout﻿. Approximately 2 hours from departure at 821 US 89 in Page, AZ.